How Much Does a Hex Trap Bar Weigh? It would be nice to know what that oddly shaped trap bar weighs so you can keep an accurate log of your training. First – What is a trap bar? Is it a deadlift bar or squat bar? A trap bar is used as an alternative to straight-bar deadlifts, to keep the weight more favorably centered in line with your body, instead of in front of your legs the way straight-bar deadlifts have to be done. People with back issues have an easier time doing the trap bar deadlift, whether due to injury or degeneration. Not as much pressure is put on their hips and spine. It’s called a trap bar because it’s named after the trapezius muscles, connecting the neck to the shoulder bones. These are worked when you do shrugs, which is the exercise this type of bar was originally designed to be used for. Many people still do shrugs with it too, but in modern use it is favored more as a deadlift bar. It is also called a hex bar because of its 6-sided (hex) shape. It has enough room for the average person to step into, grab the handles, and lift the loaded bar up. Most likely, your trap bar weighs somewhere between 50 lbs and 70 lbs. 50-60 lbs is the most common. There isn’t a standard weight for hex bars. Let’s look at some common models to help give you an idea of what yours probably weighs. 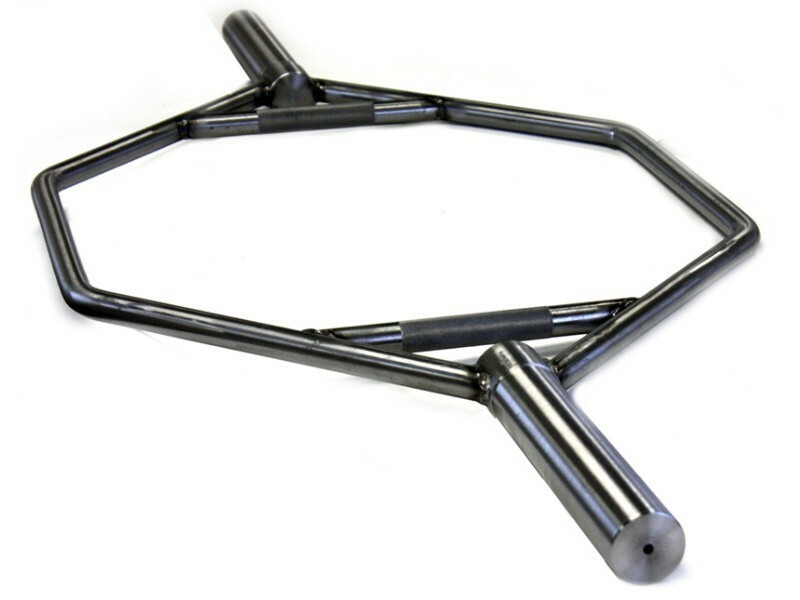 Virtually all trap bars available on the market are made to take olympic weights, not standard weights. The ends are 2″ diameter. The Rogue TB-1 version 2.0 shown below weighs 68 lbs. It has a single pair of handles flush with the tubing. Version 1 of the Rogue TB-1 weighed 78 lbs. They reduced the weight for v2.0, not so much to give people a lower starting weight (78 lbs isn’t much for a deadlift) but to make the bar a little easier to maneuver around. Trap bars are monsters you end up banging against stuff when you carry them around when you aren’t super careful. The Rogue TB-2 below weighs 60 lbs, only 2 pounds more than the TB-1. The only difference between the TB-1 and TB-2 is the extra raised handles on the TB-2, which apparently only weigh a pound each. These handles let you get into a higher starting position. 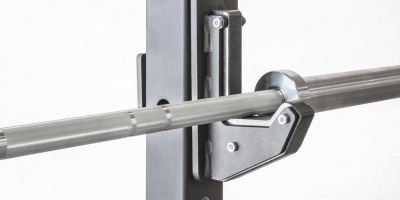 They raised handles also make the lift significantly easier than the flush handles that are prone to making the bar tip forward or back if you don’t have it gripped directly in the center. 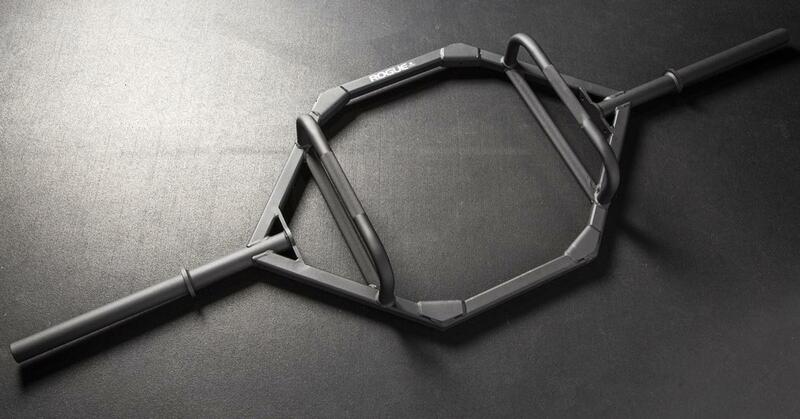 Rogue’s trap bars are a huge 89″ long. That’s 7’5″. They made them so long to make them “rackable”, ie: fit on a 48″ wide power rack properly so you can load weight plates freely. Keep in mind that Rogue’s trap bars are kind of old-school and unique nowadays. Let’s look at another couple examples. 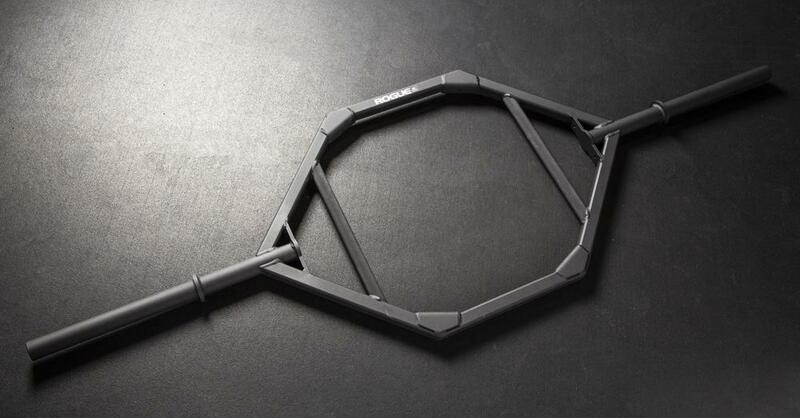 The CAP OB-91HZ is CAP Barbell’s largest and most heavy duty trap bar. It weighs only 53 lbs. Note that it is only 56″ long, compared to Rogue’s 89″, so it is not rackable. This 56″ is a typical approximate length of many trap bars you will encounter. That’s 4’8″, so hold it up on its end to check it against your height to get an idea of your own trap bar’s length. As you can see, they use round tubing throughout, not the 1.5″ square tubing that Rogue does. On the extreme lighter end, see Troy’s GOT-56 trap bar below. The ends of this bar are a mere 10″ long. 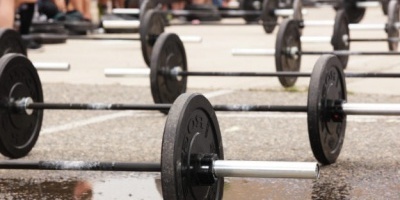 You won’t fit more than 2 pairs of bumper plates (plus collars) on it! At 43 lbs it’s the lightest trap bar I’ve ever encountered. Most weigh 50 lbs or more. Heck, 43 lbs is less than most 7ft olympic straight bars. The mechanics of the movement actually are more like a squat than a deadlift. Your torso is a little more upright, and the weight is centered more in line with your body like a squat, whereas with a deadlift the bar is in front of you, requiring more bending at the hips to get your shoulders above the bar. Nevertheless, we call it a type of specialty deadlift bar, not a squat bar, because of the way you reach down and grab the bar off the floor rather than having it rest on your upper back.